As with many family pianos, Matthew’s childhood piano was subjected to a great deal of experimentation and dissonance before he was given piano lessons aged five. Whilst initially focused on the classical tradition, Matthew discovered the breadth of genres available to a pianist and eventually decided to pursue studies in jazz. The pursuit took him from Melbourne to Perth where he attended the Western Australian Academy of the Performing Arts (WAAPA), receiving a Bachelor of Music Performance (Jazz) in 2014. 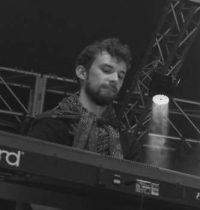 Matthew has had the opportunity to perform in a variety of styles and groups nationally and internationally and was nominated for Best Keys/Synth Artist in the 2016 Western Australian Music Awards. He has since settled back home in Melbourne. Matthew has been teaching piano for eight years. His approach to teaching involves structuring the lessons around each student’s learning style and their individual connection with music. He seeks to communicate fundamental musical concepts in a way that is engaging and relevant to the student. Matthew Schmalkuche currently has lesson slots available on Wednesdays and Saturdays at High Street Music Preston. Our music lessons service Melbourne’s northern suburbs including Preston, Ivanhoe, Heidelberg, Reservoir, Thornbury, Northcote, Bundoora, Coburg, Bellfield, Kingsbury, Fawkner, Thomastown and Lalor.